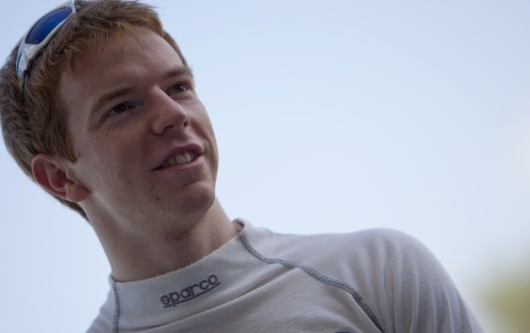 GP2 frontrunner Oliver Turvey has secured a seat with Ocean Racing Technology for the forthcoming Asia series. The 23-year-old Briton had been uncertain about his 2011 plans as his backing from the Racing Steps Foundation ended after his first season of GP2, when he had taken an Asia series race win and sixth in the main championship with iSport. But he has now signed with Tiago Monteiro's Ocean team for this winter's Asia contest. Italian Formula 3 graduate Andrea Caldarelli will be his team-mate. "We have worked a great deal to reach a certain level and our ambition was to assign our cars to the best two drivers of the up-and-coming generation," said Monteiro. "With Oliver and Andrea, we will have the ideal driver package." McLaren test driver and former McLaren/AUTOSPORT BRDC Award winner Turvey is confident he will be on the pace with Ocean. "I feel totally ready and completely prepared for the challenge we have to face and I have big ambitions," he said. "I always race to win and I think we have everything we need to be competitive."